Learn the basics of zombie anatomy in slow motion! 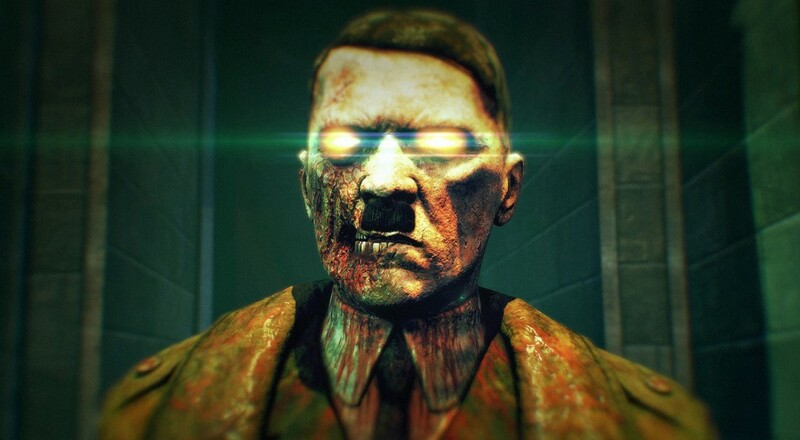 Everybody knows the only thing worse than a regular ol' flesh and blood Nazi is the lumbering, brain-slurping remains of a Nazi reanimated through some devilish necromancy. Luckily for you and any buddies who loathe the undead (as any living, breathing people should), Zombie Army Trilogy is headed to PC, PS4, and Xbox One March 6th. Soon you and three friends can defend the free peoples of World War 2 era Europe from Zombie Hitler and his Rotting Minions. Zombie Army Trilogy combines three of the Sniper Elite spin-off games into one concrete package. Not only will you receive Sniper Elite: Nazi Zombie Army 1 and its sequel, but you'll also get to snag Zombie Army 3, only available in this package. Owners of the first two games on Steam need not despair at paying full price for the PC bundle, however. If you own either of the previous Zombie Army games, you can grab the bundle at a 30% discount. If you own both of the previous games, you're entitled to a pretty sweet 60% price cut. Up until now, Rebellion has been content releasing these games solely as digital products. However, Zombie Army Trilogy is coming in hot as a full on boxed retail release. Sure, it's got a Day One digital download, but they're making the extra concession to folks with sluggish internet who wish to pick up a disk version as well.